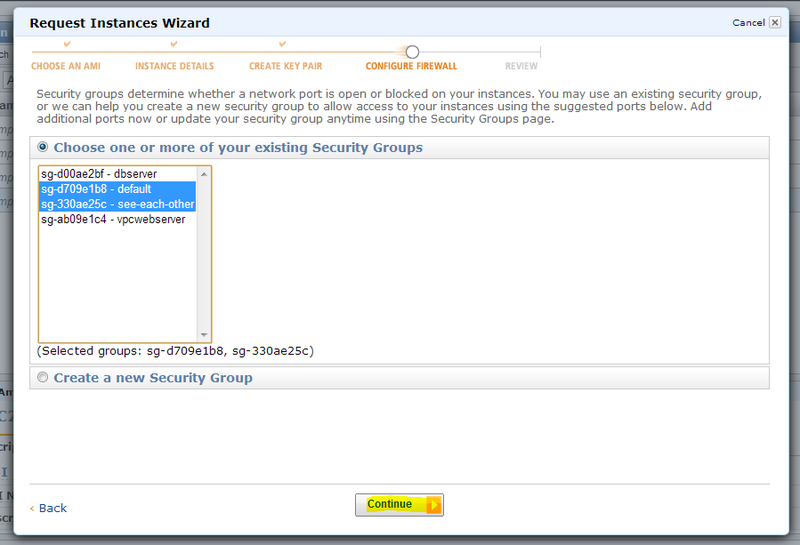 The VPC wizard has an option to create a public subnet and a private subnet. 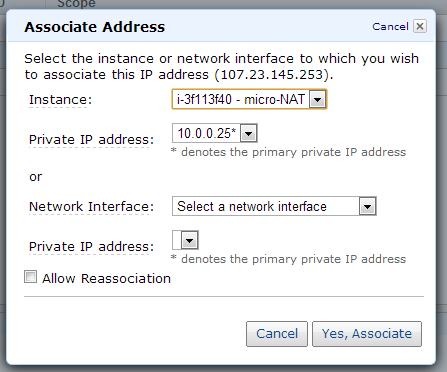 It creates a NAT instance to handle internet traffic for the private network. The tool does not have the option to make this instance a micro instance. 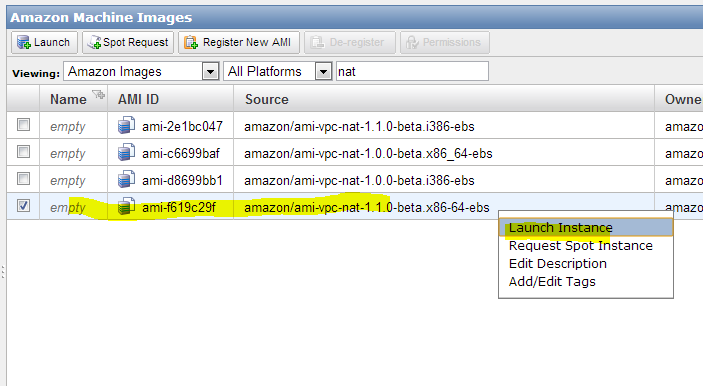 Until recently you could not have a micro instance on a VPC http://aws.amazon.com/about-aws/whats-new/2012/10/18/Amazon-VPC-now-Supports-Micro-Instances/  I think it’s possible to use a micro instance as a NAT, you just have to do some manual steps to implement it. 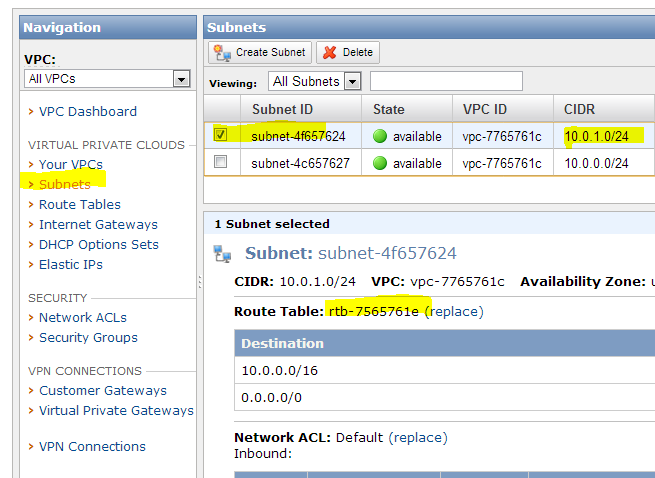 This guide assumes you already have a VPC set up with a public and private subnet and a running NAT. 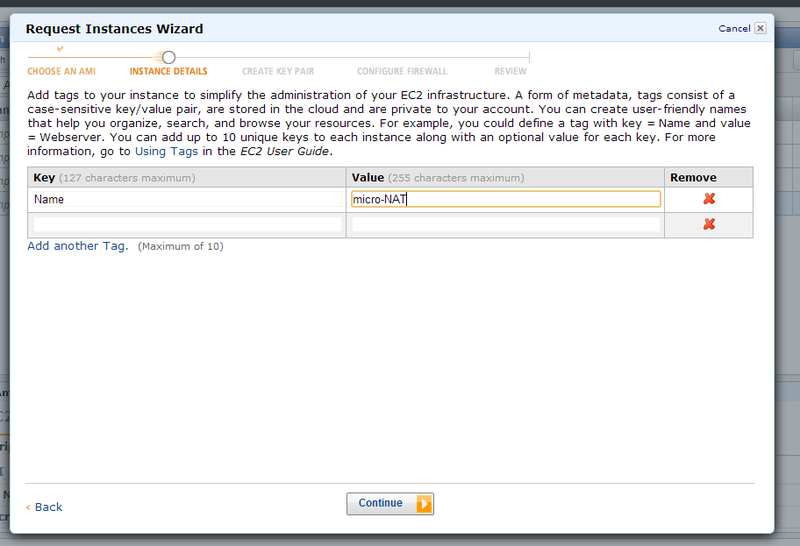 From the EC2 console. Select AMIs. Then enter “nat” in the text field and press enter. Select the 1.1 beta 64 bit, right click and select Launch Instance. Select T1.micro as the instance type. 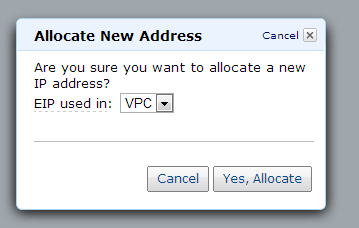 I prefer to give it a static internal IP address. 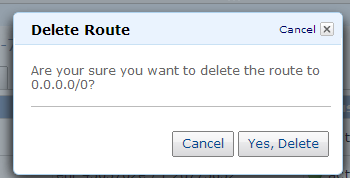 I assigned 10.0.0.25 to it and click Continue. 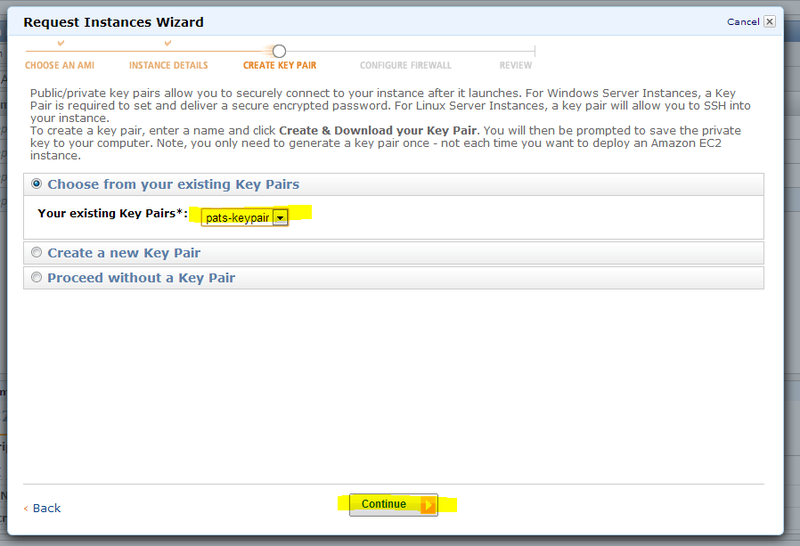 Give it the name micro-NAT and click Continue. 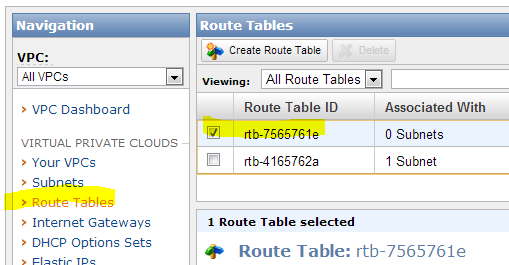 Click on Route Tables and select the route table associated with the private subnet. 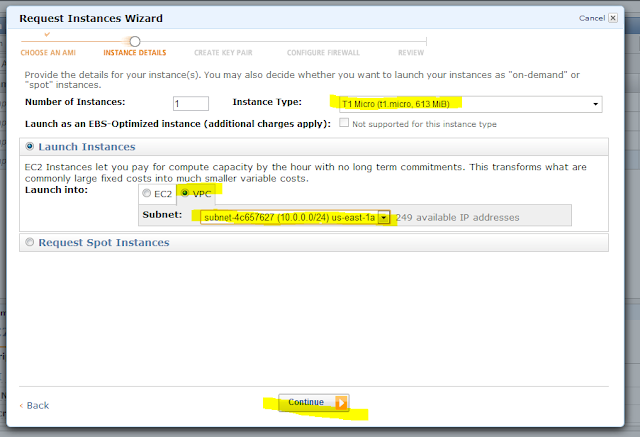 Enter 0.0.0.0/0 for the Destination and select the micro-NAT instance as the target and click Add. And it works. 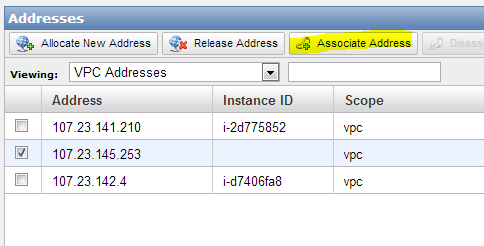 As good measure stop the old NAT instance. 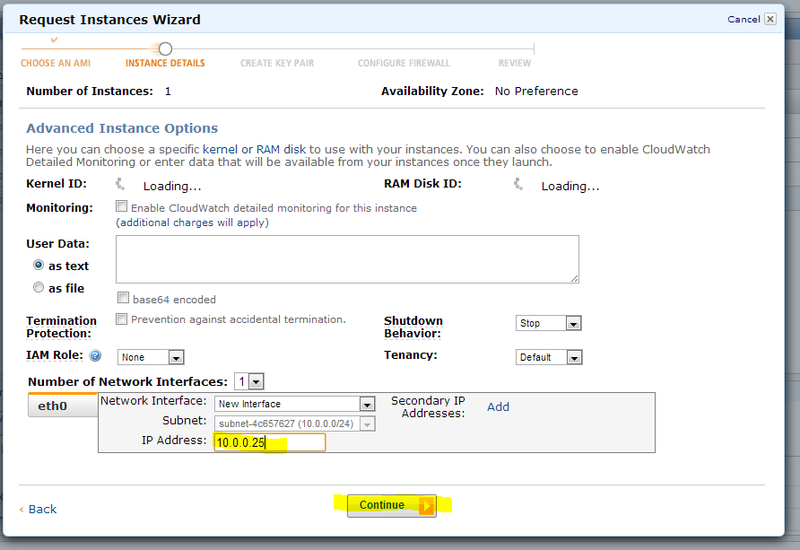 Confirm that the old small instance NAT is down then try and ping again from inside the private network and/or use apt-get or wget as a test. 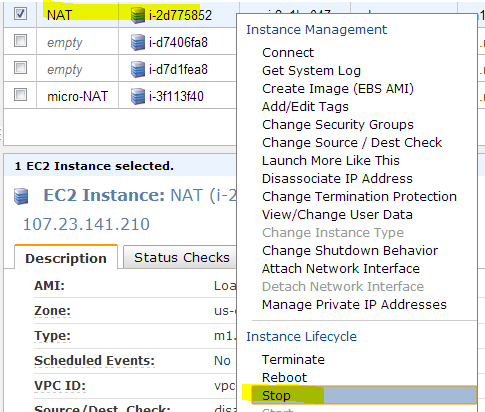 why don't you stop the original SMALL NAT instance and change it to MICRO, then start it back up? That is a good point, I created my own micro NAT to also server as an openVPN server and I wanted it to run on Ubuntu (my prefered flavor of Linux). I did not cover setting those up in the blog post, but that was my reasoning for creating my own NAT. 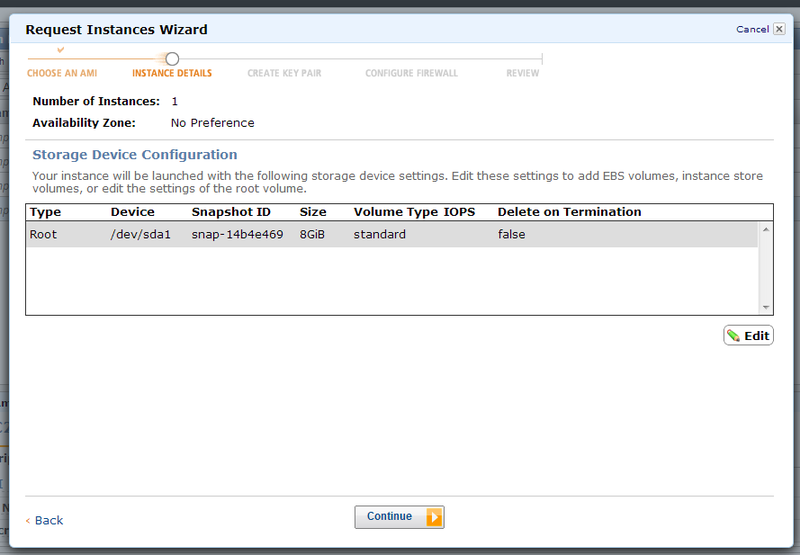 Just a note that if you use Dedicated Instances, this is not an option. 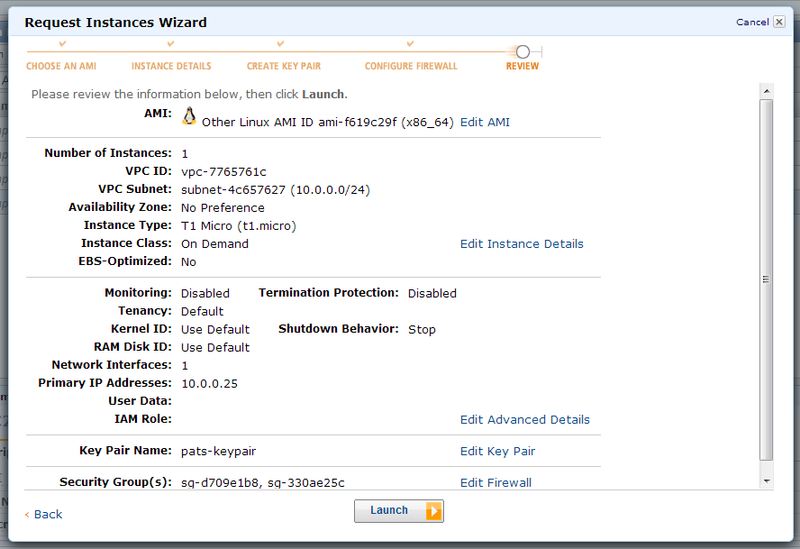 Micro instances cannot run as Dedicated Instances. This truly depends on your needs. Instead of a T1.micro I would use a T2.micro which should alleviate the issues brought up at stackoverflow. But that is still just for a small system that has very low traffic for the VPN. 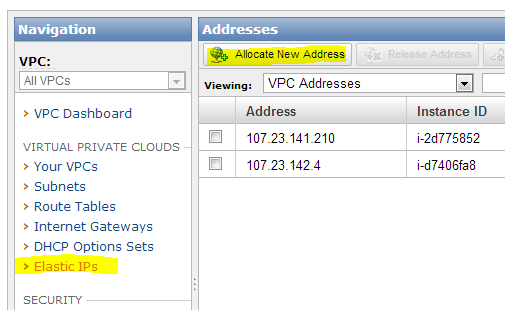 If you have more needs its easy enough to switch to a more consistent server.